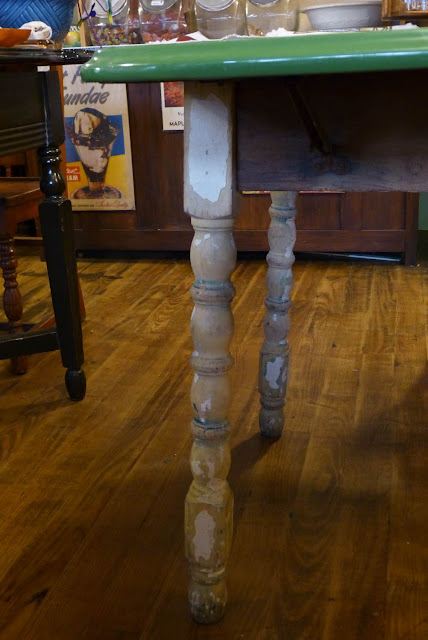 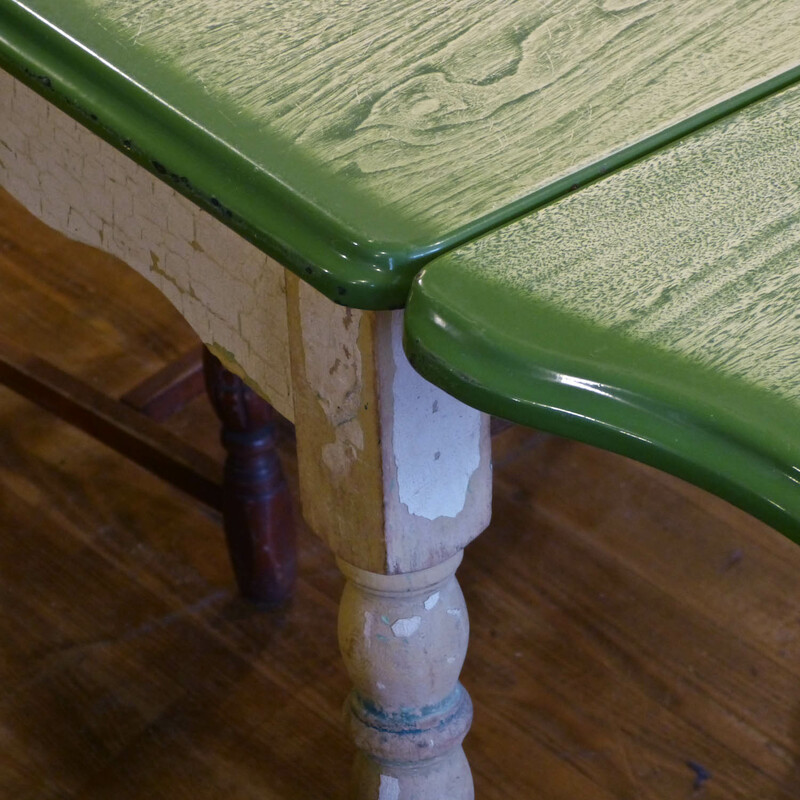 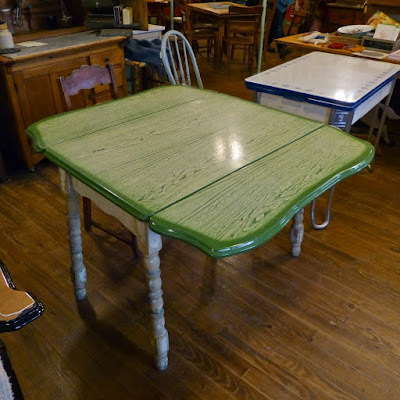 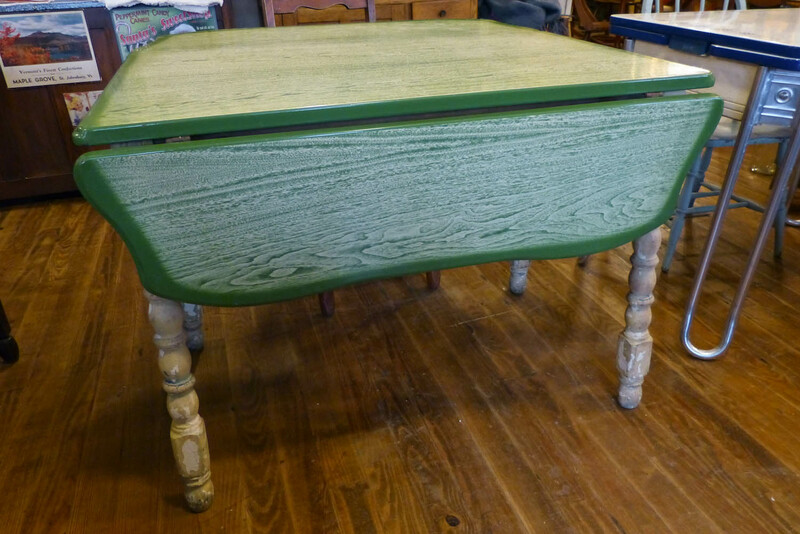 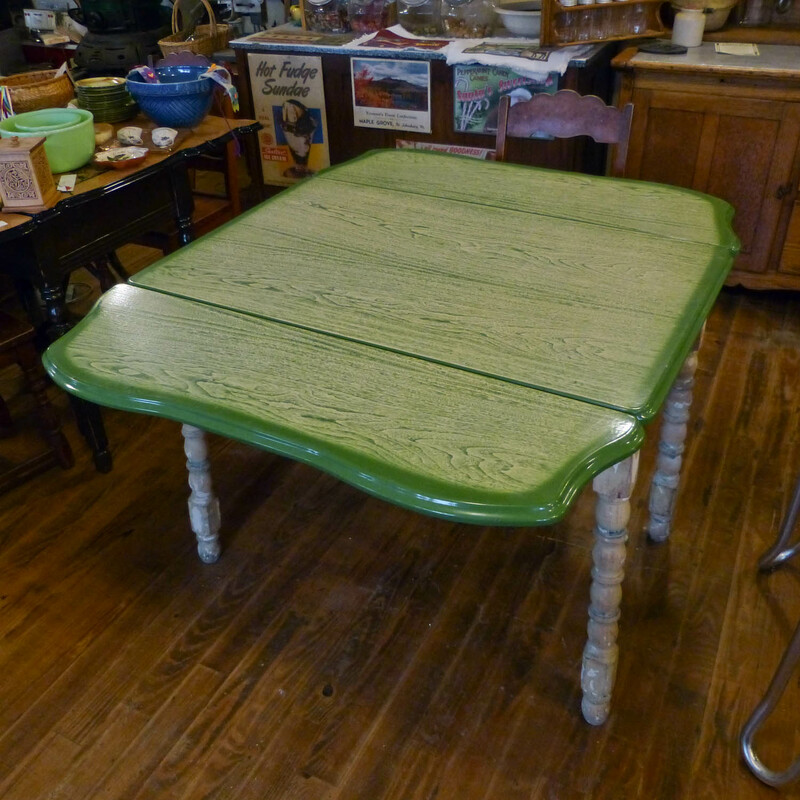 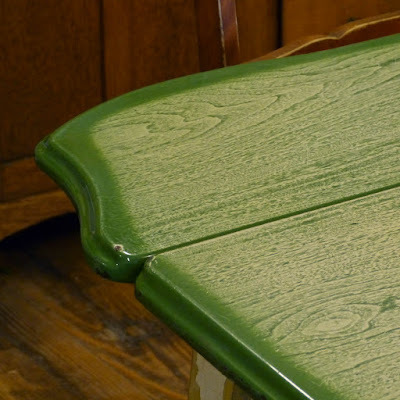 This faux-woodgrain, green-topped enamel table has solid "faded" edges and a "shabby chic" base with cracked and rubbed-off old white milk paint. 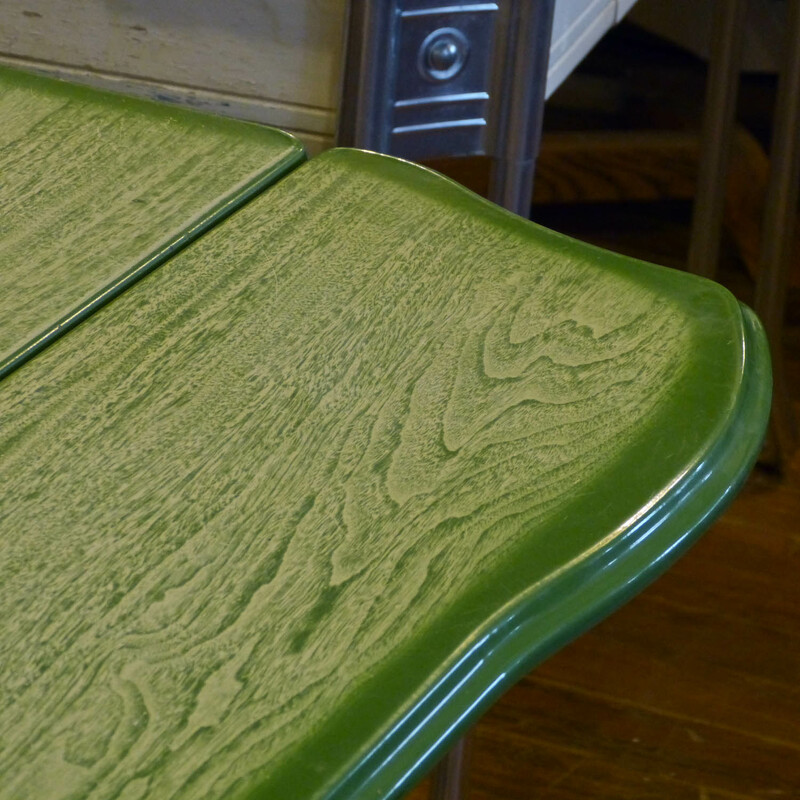 The leaves are drop-down. 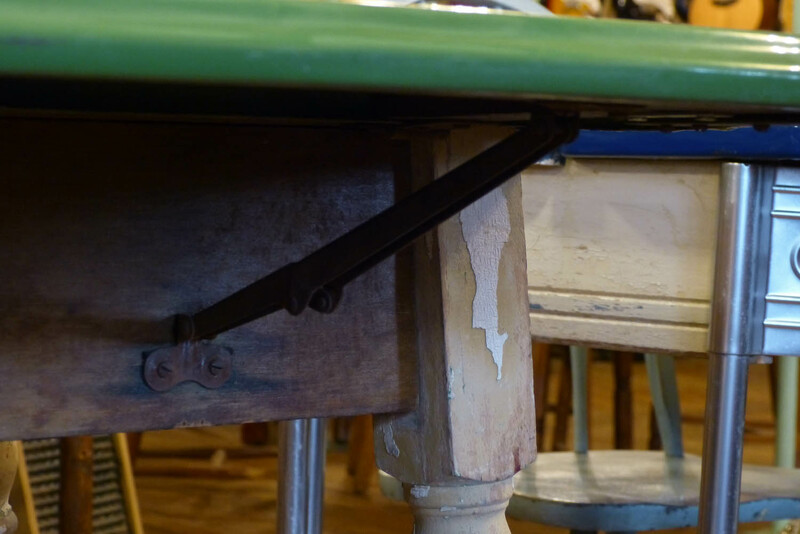 Metal brackets spring the leaves out.